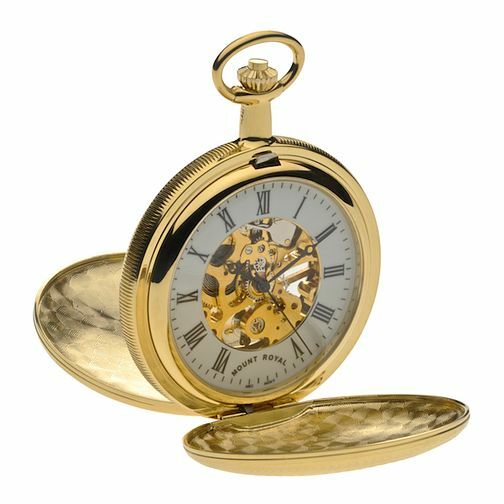 This elegant pocket watch features a double opening Hunter case, mechanical skeleton movement, white dial with roman numerals and matching chain. A classic and stylish timepiece for gentlemen. Men's Double Opening Hunter Pocket Watch is rated 4.8 out of 5 by 5. Rated 5 out of 5 by Anonymous from Beautiful Bought as a wedding gift for my husband, he is going to absolutely love it! Nice and heavy, good quality, looks beautiful. Took it to a local cobbler to get engraved with his initials. So looking forward to seeing his reaction!